As you know, we love Disney and we love sharing Disney with the people we care about. In honor of Valentine’s Day, we thought we share how we would do a Disney first date, what we love in a proposal at Disney, and how you can make your Disney wedding dreams come true! Have you ever wondered what goes into planning a Disney destination wedding? You don’t need to wonder any longer! Join us this week with our special guest, Amanda, as she tells us all about how she planned her fantastic Disney wedding. From flowers, to catering, photography and more, she tells us from start to finish how to make that Disney wedding magic happen! It’s every princess’ dream to get married at Disney, right? Alfred Angelo, renowned wedding gown designer, has been helping brides look like their favorite Disney princesses for years. 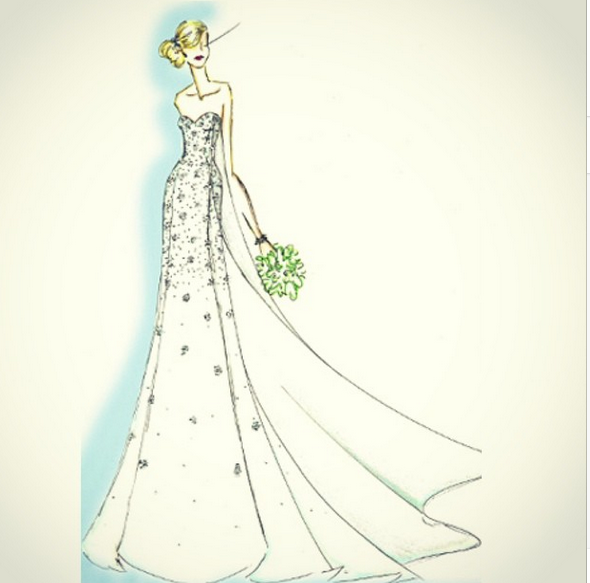 And now, according to Disney Weddings Instagram account, the bridal company is working on a new design based on Elsa from Frozen! There aren’t many details as yet on what the gown will look like exactly, but I know I’m excited to see it!